Every now and then you come across something that just seems to call to you, like it was made specifically for your enjoyment. For me, this beer was one of those things. I had been in the market for stouts, and both the name and label aesthetics of this beer instantly drew me in. I know that’s not always the best way to choose a brew, but this one felt special. Description: Part of the brewery’s Deep Wood Series of special barrel aged offerings, this beer is officially named as a play on the name of founder Josh Deth; though a careful reading of the box reveals a that this “fully operational Imperial Stout” gives a subtle nod to a certain film franchise as well. As for the actual contents of the bottle, this beer was aged in two different types of bourbon barrels and brewed with a “variety” of malts and oats. Check out the brewery website for more information. The bomber was on the higher end of my usual price range at $18, but I was sold at first sight. Appearance: Deep black body topped off by a dark tan head. Smell: Sweet malts and dark chocolate underneath strong bourbon notes. Taste: Sweetness upfront in the form of rich malts, dark chocolate, and a bit of caramel. A creamy, light roast coffee taste arose roughly mid-sip but was soon overtaken by a massive surge of bourbon. The finish was creamy and chocolately, with a subtle oak/roast combination underneath a sweet and distinct kick of heat. Bourbon, sweetness, and chocolate were the main flavors here, definitely in that order. Mouthfeel: Thick, full-bodied, and silky smooth with minimal carbonation. Hype: There was some excitement about this locally, considering I found out about the beer’s existence and availability via social media announcements from various bottle shops. It went pretty fast at my downtown spot despite a one bottle per customer limit. Overall: I ended liking this just about as much as I had hoped I would. It was definitely a beer meant to be enjoyed slowly on cold winter night (indeed I drank this during a snowstorm), but that’s pretty much the point of something like this. Fantastic. I would no doubt pick this up again, worth the price tag. When I heard that this was being released I was definitely intrigued. 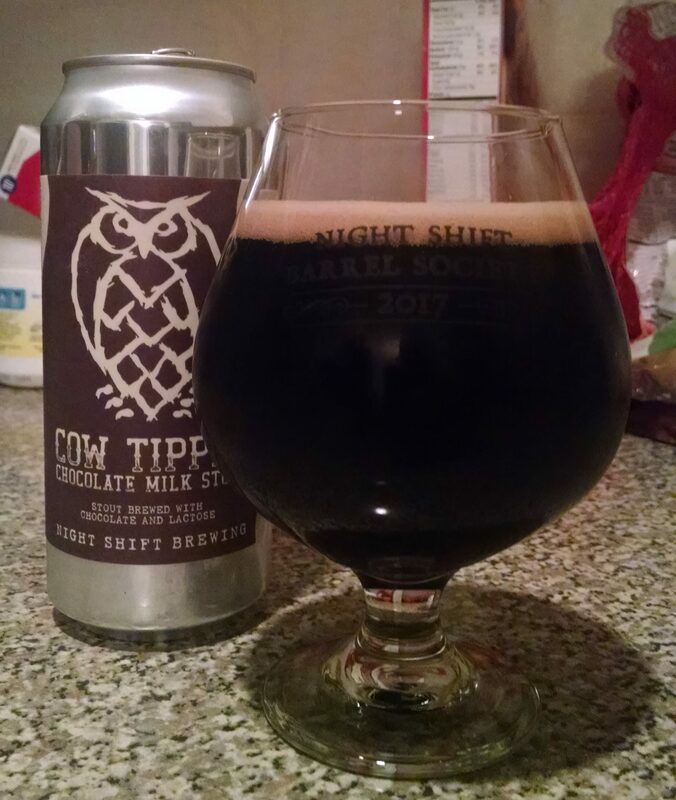 Night Shift has been putting out some great stouts lately and something about a chocolate milk stout just sounded too good to miss out on. 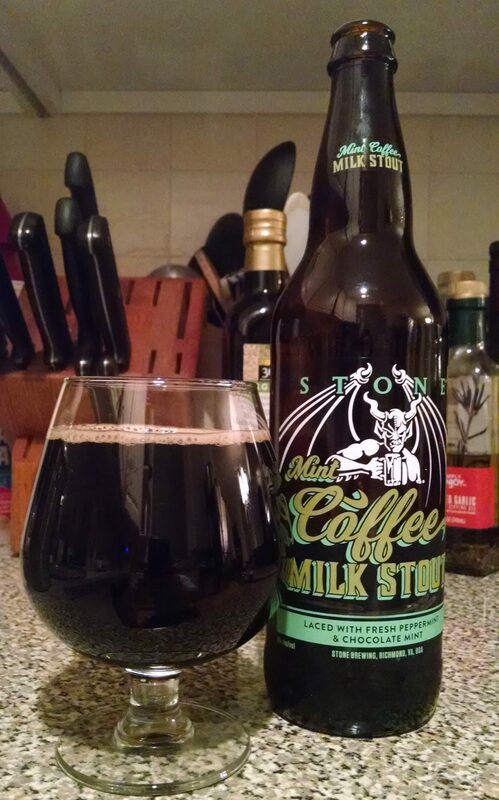 Description: Per the brief brewer’s notes, this is a stout brewed with chocolate and lactose. Currently available as a limited release to drink on draft at the taproom or take to home in 4 packs. Cost was $6 for a 16 oz. pour and $14 per pack of cans. Appearance: Black body with a healthy light tan head forming with the pour. The foam left some nice lacing on the glass as I made my way through the beer. Smell: Sweet milk and dark malts with a faint hint of roasted coffee. Taste: Right out of the refrigerator there was a moderate level of roasted coffee that began on the front and carried through to the finish. This faded somewhat after a few minutes, more clearly leaving behind creamy notes of sweet milk, lactose, and bittersweet dark chocolate. Mouthfeel: Just a touch above medium with mild carbonation. Hype: Nothing out of the ordinary I suppose. As mentioned already, I was certainly eager to try this. Overall: Highly enjoyable. Considering it was labeled a chocolate milk stout, I wish there had a bit more sweetness in comparison to the bitterness and roast, but this was still very good regardless. Nice, easy to drink way to get my stout fix. My original plan for this beer had been to break it out for my birthday/Super Bowl weekend, but then my infant son got sick and KOed the entire family shortly before the big days. It took me a little while to find time for this after my recovery, but I was certainly glad I did. 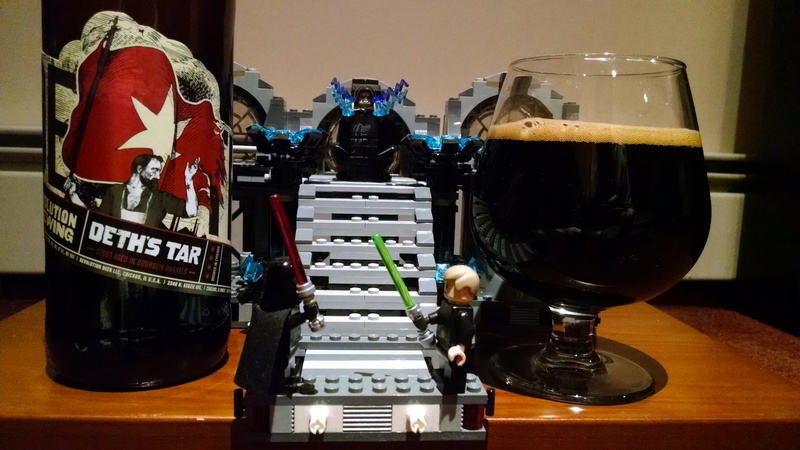 Description: A gift from my wife for Christmas 2014, this variation of the brewery’s imperial stout had been aged in Woodford Reserve barrels for six months prior to bottling. Since then it has been sitting safely in storage awaiting the proper occasion. For a lot more information on the Eclipse series, check out this link. Worth noting, the goodness does come at a premium price: $30 per bomber. Appearance: Thick black body topped off by a thin yet persistent tan head. Smell: Sweet, rich malts paired with bourbon. Taste: Heavy bourbon influence throughout, though never quite to the point that it got overpowering. Sweet creamy malts, honey, and a little bit of sweet chocolate are the main flavors that accompany the bourbon on the front end. The finish added a subtle blend of light roast coffee and oak, again supplementing that distinct bourbon presence. The beer drank warm the whole way through without crossing that fine line into being boozy. Mouthfeel: Super thick and velvety smooth. Very minimal carbonation. Hype: Factoring in the cost, you’d better believe there were high expectations for this beer. That said, it does generate some buzz around release time based on taste as well. Since I’ve already had a few other releases closer to their bottling date, I was confident this would taste great. The big question for is how it fare with an extra bit of age on it. Overall: Awesome. If you like bourbon you are in for a treat with this series. It is on the expensive side, but since my intention all along was to hold it in reserve for a special occasion I can overlook that for my purposes. If cost wasn’t an issue I would no doubt get these more regularly. Based on my experiences with these beers I would say that they are definitely great examples of the style, drinking very smoothly despite the big tastes and higher ABV. When I think of Left Hand Brewing Company, the thing that immediately comes to mind is their Milk Stout, perhaps one of the best examples of the style out there. I am much less familiar, however, with their other offerings so last week’s work beer was a welcomed opportunity to try out something else from their portfolio. 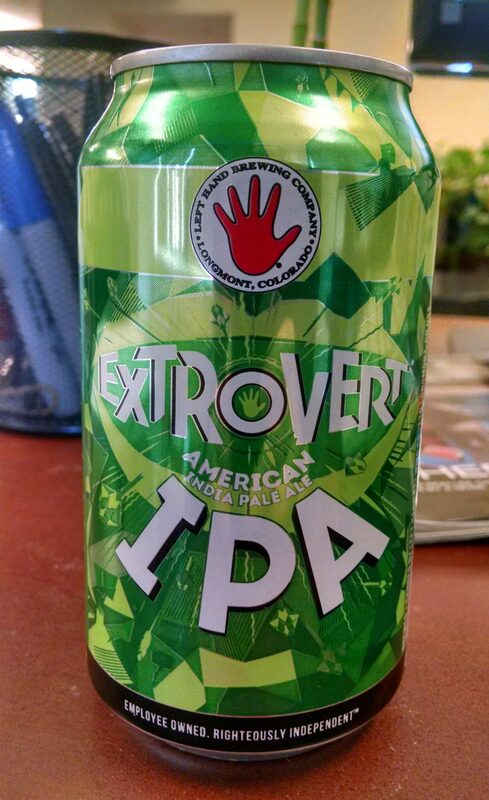 Description: The word on can was that the beer offers assertive tropical hops balanced by complex malts [to] give this IPA a big personality with a dry finish. There was a best by date was 3/18, giving this one life through St. Patrick’s Day. You can find the brewing specs here. Appearance: Clean glasses were apparently not an option the day we had this, so I for the most part drank this right out of the can. I did pour a bit into my water cup to at least get a glimpse (for science, of course) and it had a just barely see-through amber body with a beige head. Smell: Started out sweet before ending with a nose full of sappy hops. Taste: Similar to the smell, the beer started out sweet mixing tropical fruits and caramel malt. The caramel malts lingered on towards the finish where they were joined by piney hops coupled with bitter grapefruit. Mouthfeel: Medium in a body and moderately carbonated, this had a dry, sticky finish that nicely accentuated the bitterness. Hype: None that I was aware of. Like I said in the introduction, I know this brewery more for a stout than anything else. Overall: Veteran followers should know by now that I love me some IPAs that feature caramel malts, so I say with some authority that this was a very good beer. There was a bit more grapefruit on the finish than I would usually go for with this profile, but that’s more a nitpick than a criticism. I’m thinking of picking up a six-pack of these for the house. My wife is pretty awesome. While running errands the other day she just so happened to pick me up some beer as well. Here we are with another seasonally appropriate release from Stone Brewing Company. Description: A limited release variant of the brewery’s seasonal milk stout, this brew was “laced with fresh peppermint and chocolate mint.” For the full story, check out this link. My bottle was born at the new Richmond, VA facility and dated 12/16/2016. Cost was $6.99 for a bomber. Appearance: Black/deep brown body with a thin tan head. Smell: Lightly roasted coffee with a touch of cool mint. Taste: Started out with creamy, moderately roasted coffee before picking up a hint of bitter chocolate. There was a moment in the middle where the beer tasted almost like a thin mint right before coming to a roasty, semi-sweet, and oh-so subtle minty close. Mouthfeel: Fell just short of medium-bodied, though the low carbonation level allowed it to maintain a somewhat smooth, creamy feeling. Hype: Another Stone offering with a bit of nostalgia for me (they were probably my first favorite brewery so this happens to me a lot with them). I have found memories of a mint chocolate stout they released in collaboration with Iron First and Aloha Plenty Brewing Companies a few years ago and was curious to see how this recent offering compared. Overall: A good beer for novelty value, but probably not one I would regularly seek out regularly. In a perfect world I personally would have liked this to have been a bit thicker with less emphasis on the roast, but I really appreciated how they handled the mint flavor. Subtle was the way to go and they accomplished that quite nicely. A daring concept that was well executed. As soon as I saw this sitting on the shelf at my local Kappy’s I picked one up without any second thoughts. I’ve had some good experiences with this brewery and the price was certainly convincing. Description: The beer has its own page on the brewery website here, but to sum it all up we have here big, dark, richly flavored stout. The bomber cost a nice $6.99. Appearance: Poured a thick black body topped by an equally impressive off-white/light tan head. Smell: Dark fruits mixed with a blend of sweet and roasted malts. Taste: Started out sweet, initially in the form of dark fruits, before turning a touch more towards sweet malt. The finish brought on more on some light roasty notes, though overall this was on the sweeter side throughout. At warmer temperatures it picked up a slight bit of heat as well, though it did so without getting boozy. 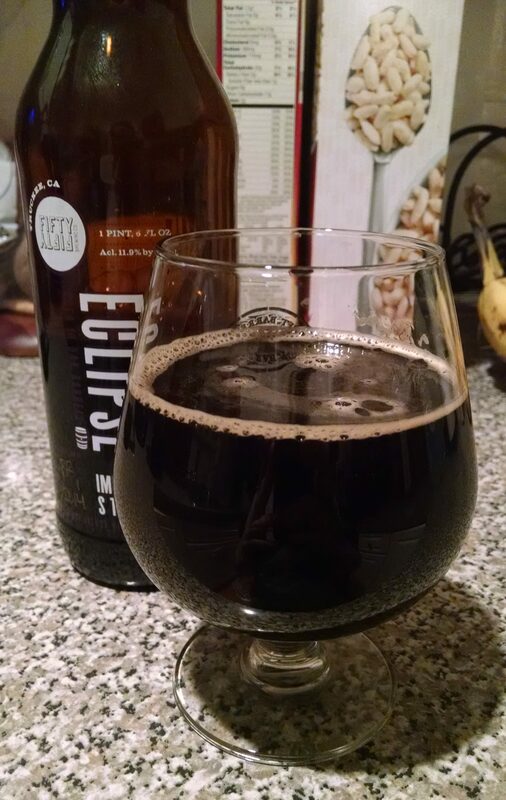 Mouthfeel: It had a thick, slick body with a very low amount of carbonation. Hype: The brewery certainly has a dedicated local following (they’ve been around 20 years now), but they don’t get much hype from the beer enthusiast crowd. 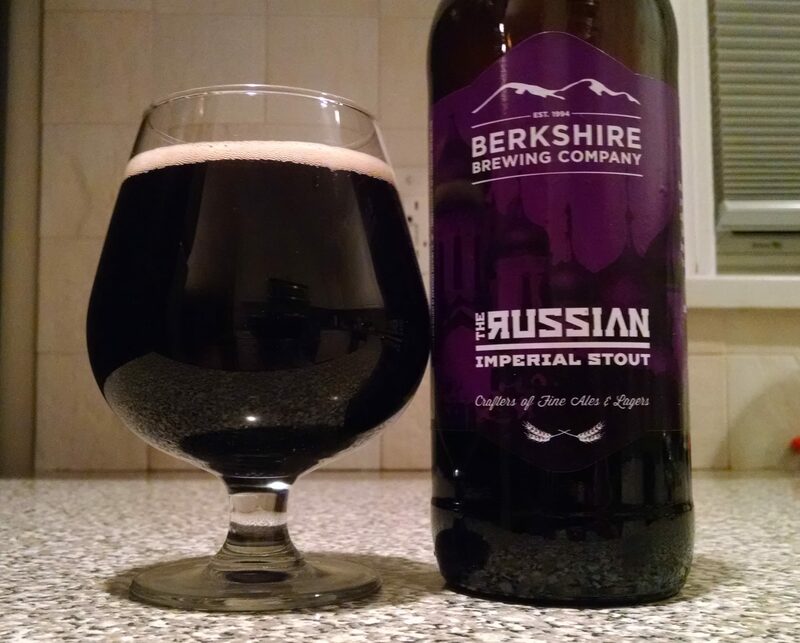 Overall: Very solid imperial stout at a hard to beat price for the style. While it didn’t shine quite as brightly as some of the more expensive stouts I have lined up, it was still a very tasty option and I particularly enjoyed the dark fruit influences. Definitely check it out. It may not be the biggest and baddest stout you try, but both your taste buds and your wallet will thank you for the experience. 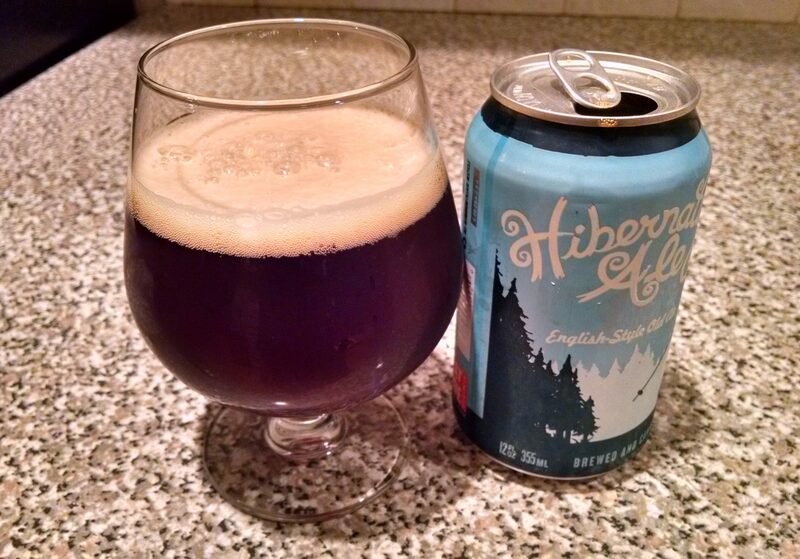 I found this can lurking in the back of my beer fridge, waiting for the perfect winter evening in which emerge. Description: The brewery’s dry-hopped winter seasonal is described by the brewery as having a malty richness and a hearty, warming character. Appearance: Deep, dark brown body topped off by a foamy light tan head. Smell: A blend of toasty malts and sweet dark fruits. Taste: A mix of toasted and sweet malts, with the clear edge going to the former. When first poured, the beer ended with a lingering bitter and roasty taste. After sitting in the glass for a bit this finish evened out somewhat and took on a hint of the initial sweetness, but remained predominantly roasty. Mouthfeel: Medium bodied with a moderate carbonation that was most noticeable with a little bit of foam at the start of each sip and a slight tingling of bubbles at the end.. Hype: Nothing external. This was another beer that my wife purchased on the recommendation of a shop employee, so I was interested in seeing what they would pick out for her. Overall: Well made, but I wasn’t really that into this one. There weren’t really any discernible flaws, I just wasn’t a fan of the malt profile. If it was a just a bit sweeter or more subtle in its existing flavors I might have liked it a bit more, but alas, not my thing. As I’ve mentioned here previously, I have been a fan of Stone’s Enjoy By series from nearly the beginning. Although I don’t see the need to review each and every installment (with most batches being rather similar), the Valentine’s Day release looked to be something a bit different and potentially rather delicious. Description: Putting the meandering description and celebration of self loving printed on the bottle aside, this release put a twist on the series by adding coffee and chocolate to their IPA recipe. More information and the aforementioned brewer’s “notes” can be found here. The bomber cost $8.99 at my usual spot in Downtown Boston. Appearance: Poured a murky light brown/orangish amber body through which I could just barely make out my fingers on the other side of the glass. The head was a thin layer of just barely off-white foam. Smell: Fruity sweetness mixed with dank, piney hops upfront. Notes of coffee came through on the end. Taste: Started out with a blend of sweet tropical fruits and dank pine resin before hints of bittersweet chocolate and coffee made an appearance about halfway into the beer. The finish was a blend of subtle chocolate and mild tropical sweetness paired with a slightly more assertive coffee presence and the series’ characteristically aggressive piney hops. There was a fairly surprising amount of heat as well, enough so that it stood out noticeably on the ending. Mouthfeel: Medium almost but not quite creamy body with a consistently moderate amount of carbonation. Hype: I was eager to try this. 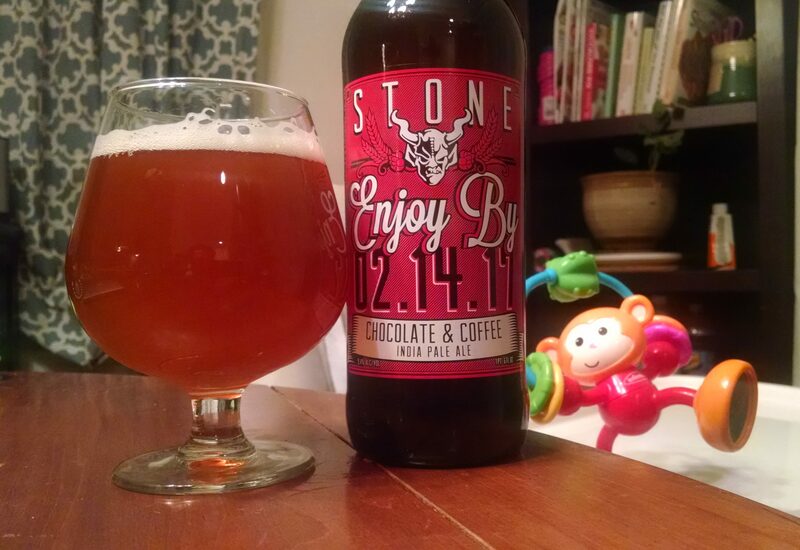 I recall really enjoying a coffee IPA Stone released a while ago and couldn’t wait to see how this one turned out. Overall: I had to think about this one. I really loved the first two-thirds of the experience, in particular how the coffee stood out without being roasty, but the amount heat on the finish felt just a bit out of place and threw off the delicate balance of flavors right as they seemed poised to all come together. As such, I’m considering this a good beer that was a tweak or two away from being an excellent one. A worthy choice to either share with that special someone or enjoy all by yourself. 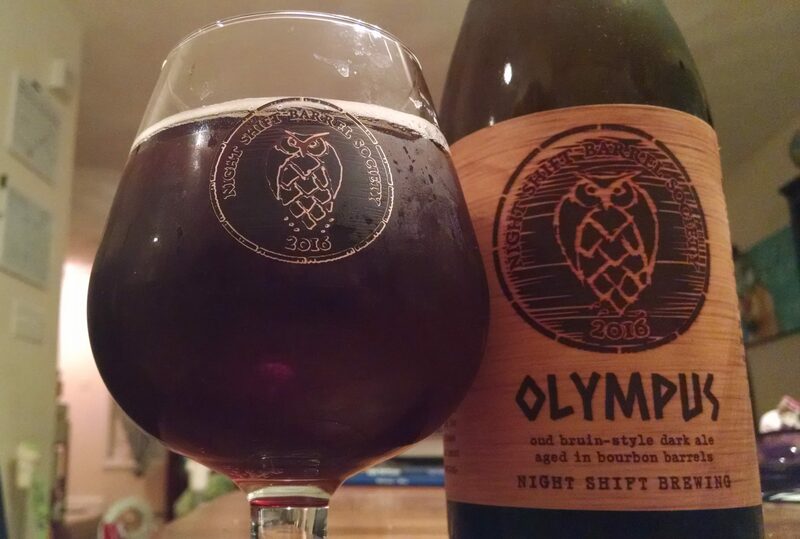 And with this beer I bring to a close my reviews of the 2016 Night Shift Barrel Society lineup. It had been an excellent run thus far and the final offering was of particular interest as it gave me a chance to try a style I haven’t had before. Description: I will once again turn this section over to the brewer’s notes: pours brown with dark red at the edges of the glass. Aroma is slight chocolate with dark fruits, tart cherries, some Brett funk and red wine tannins. Taste follows nose, some dark fruits melding with the red wine character, the sourness and cherries in the back finishing sour and dry. The bottling date was December 2016. Appearance: Medium brown body with reddish/amber highlights. Topped off by a thin bubbly white head. Smell: Tart and sweet dark fruits with a moderate hay-like funk on the end. Taste: Closely followed the smell. A funkiness in the background began right away but didn’t really peak until the end when it took on some red wine and oak barrel flavors as well. At the forefront of all this were tart dark fruits and sour cherries. As the beer sat and settled into the glass sour cherry, oak, and that hay-like funk emerged as the primary flavors. The finish was dry with just a little bit of heat. Mouthfeel: Medium to light bodied with a few bubbles on the end. Hype: I was excited for this one. It was a new style for me and I was optimistic about the 2016 lineup ending on a super high note. Overall: It was a bit intense drinking this on my own, but overall this was a very good beer and a solid final entry. Here’s to 2017! I had been hesitant to get involved with another series, but James K. Morrow’s Godhead Trilogy seemed like it had the potential to be a quick and amusing read. With all three volumes conveniently stashed in one ebook, I had visions of just plowing through them all in short order. Things don’t always go as planned, however, and I only ended up reading the first book after finding this initial volume, Towing Jehovah, somewhat lackluster. Main character Anthony Van Horne is a former sea-captain haunted by his past. Some years prior to the events of the novel he was in command of a supertanker that struck a reef and caused a massive oil spill, an event which ended his career and stalks him in his dreams. Seeking to ease his conscience, he has taken to bathing at a fountain in New York’s MET Cloisters to hopefully wash away his guilt. One day while in the process of doing so, he gets approached by a sickly bewinged individual claiming to be the archangel Raphael. The dying angel makes the stunning claims that God has died, Heaven is in disarray, and the Vatican wants to recruit Van Horne to discretely haul the 2.5 mile corpse to an iceberg for preservation. In exchange for doing so he would be reunited with his old ship and offered the chance of inner peace and atonement, not to mention a nice paycheck. The improbable voyage ends up being more difficult than even Van Horne could have possibly thought. In addition to the staggering logistical challenges, he must face down a scheming society of wealthy atheists, hostile WW2 re-enactors, and the utter moral collapse of his crew. While I thought the book had an entertaining concept, I never quite managed to get into it. Some of that I think was due to the fact that the story wasn’t quite what I was expecting. I had gone into this looking for something a bit more irreverently zany when instead it was often quite the opposite: dull. Not to say the book didn’t have its moments; I did enjoy Van Horne’s dialogues with his Popeye notebook, the dedication of the WW2 re-enactors, and the creative solution to a food crisis that arises, but overall I felt there were a lot of missed opportunities. All the groups depicted in the story offer plenty of fodder for satire; however, the author never quite hit the right mark on these and as a result the book made for a dry read and the overall story fell flat. The characters also seemed a bit mismanaged, with parts of the cast often disappearing and reappearing without much in way of explanation other than the author was seemingly either done with them or suddenly needed a familiar face to throw on a page. In a closed environment like a ship it felt odd. Although I didn’t actively dislike this book, ultimately it failed to grab me, and I’ll be passing on the rest of the series.